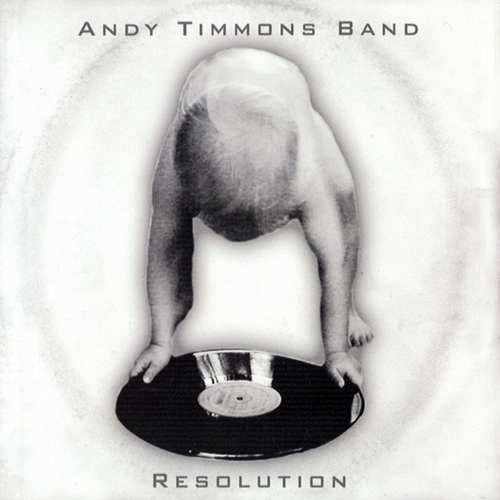 Andy Timmons is a guitarist along the lines of Steve Vai, Eric Johnson, and Joe Satriani, though to my ear maybe a little more enjoyable because of the variety of styles he covers. His technique is impeccable, and aside from a few obligatory flurries of notes, he seems to focus more on musicality than flash. The album is a pure instrumental trio effort, the ultimate format for a guitarist to test his mettle, having to cover both melodies and harmonies. Co-producer Mike Daane handles bass; Mitch Marine plays drums. But it's the guitar that's in the spotlight. Ranging from restrained and subtle quiet moments (almost like Bill Frisell with a touch of blues added) to soaring solos, he covers many bases with aplomb, and is never predictable. After his beginnings in an 80s hair metal band, he's earned his stripes working with artists as diverse as Simon Phillips, Olivia Newton-John, and LeAnn Rimes. What really stands out are his melodies, which are beautiful and full of unexpected notes. I'd call this a guitar hero album for people who like guitar but not guitar heroes, if you take my meaning. He throws in an amped-up electric bluegrass workout as a bonus track, displaying even more range.